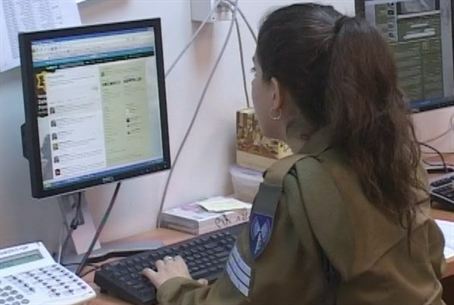 Arutz Sheva meets the army's special team for dealing with the information war online: the IDF New Media desk. It is well known nowadays that what happens on Facebook, Twitter and YouTube has great influence on events as they occur on the ground. The Internet, too, is a battleground. It is thus comforting to learn that the IDF employs soldiers whose job is to Tweet, Share, Like and more. Arutz Sheva met the soldiers of the IDF Spokesman's Unit New Media desk on another routine day in which they surf the Web's blogs and social networks. The desk was founded when two soldiers came up with the initiative to open a YouTube channel during Operation Cast Lead.